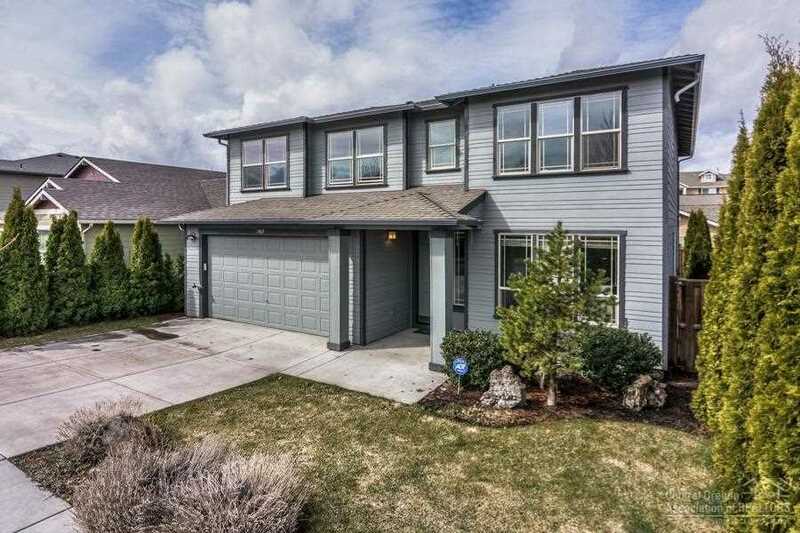 Gorgeous, quality built Craftsman in SE Bend! This spacious, well designed floor plan has a lot to offer at a great value. A 4b/3b, 2645 sqft, 2 story located in the desirable Eagles Landing neighborhood, just a few minutes walk from charming Mountain View Park and a short dive to shopping. Open living area offers new laminate wood floors and living room with gas fireplace. Spacious master bedroom with walk in closet. Fenced back yard with deck and hot tub is the perfect entertaining space. Won't last long! A must see. Listing provided courtesy of Dennis Haniford's Cascade Real. I was searching for a Property and found this listing (MLS #201902532). I would like to schedule a showing for 2069 Redbay Lane Bend, OR 97701. Thank you! I was searching for a Property and found this listing (MLS #201902532). Please send me more information regarding 2069 Redbay Lane Bend, OR 97701. Thank you!